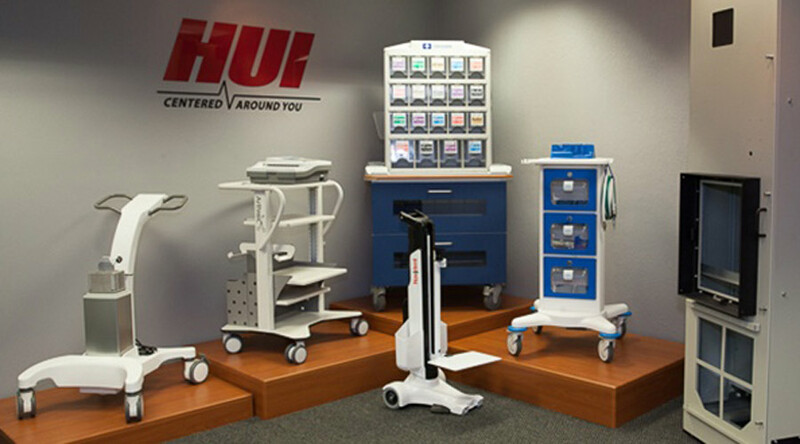 HUI Manufacturing designs, develops, engineers and manufactures custom medical carts for manufacturers of medical equipment (for monitors, anesthesia, medication, code crash, etc.). The company was generating new leads from pay-per-click (PPC) advertising but wanted to make a move to organic lead attraction since it’s more sustainable, due to the ongoing increase of PPC advertising, and their organic leads were found to be more qualified. We first developed a 6-month editorial calendar based on topics HUI’s sales team had determined were the most relevant to prospects, and on questions prospects are asking, like “What’s the value of a prototype?” and “What’s the value of designing a medical cart versus buying off the shelf?” We then developed a branded blog, the “Cart Smart Blog,” as a one-stop resource center where prospects can find posts by topic. Next we created advanced content – guides, ebooks and cheat sheets – and gated each piece so prospects would trade their contact information for downloads. We also helped the HUI team leverage LinkedIn to distribute the advanced content to very targeted LinkedIn Groups. Total new sales generated from inbound leads in the first 11 months is over $100k and another $4.8 million in new opportunities are in the pipeline! Any manufacturing organization, no matter how complex their product or narrow their market, will benefit from publishing content their prospects can use to solve a challenge. Likewise, any company that wants to reach a broader audience with its valuable content, to educate its audience, and to establish credibility.